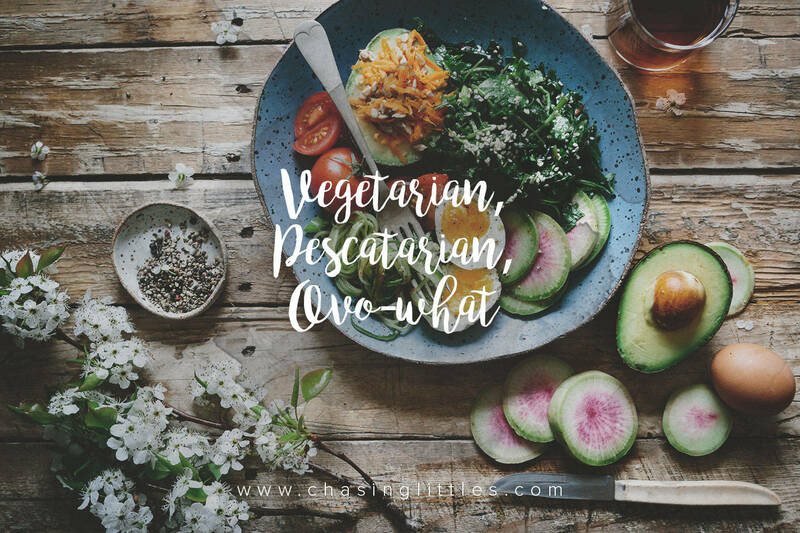 Vegan, Vegetarian, Lacto Vegetarian, Ovo Vegetarian, Lacto-Ovo Vegetarian, Pollotarian, Pescatarian, Raw, Rawtil4, Flexitarian. Say that five times fast. You can learn more about what each of these are here. But the point is, wow. There are so many ways to label what we choose to put into our bodies. I’ve come to think about this topic because just this past March I hit 24 months of making a conscious decision as to the food I wanted to consume. My family isn’t vegetarian, or anywhere close to it. Back in March of 2015, we were a typical latin american family who gathered for parties and events to eat because really, we’re all there for the food, aren’t we? Christian and I have this joke (but true story) we tell of one day early in our marriage when I got home to have my sweet husband tell me he had already made dinner. Steak! Yum. Oh and what else? No, just steak! We laugh about it now because of how much we have both grown and learned along the way. Food is something we experience many times a day, every day. It is astonishing how little we used to think about it in the past. My mom always tried to get me to eat my veggies. I just wouldn’t budge and the colourful food was always left on my plate or I’d sneak it into one of my brother’s plates! Now as a married couple, cooking on our own, it didn’t seem so hard. Steak tastes good, pasta tastes good, extra cheesy hawaiian pizza with bacon tastes good. What is there to think about? Just follow your taste buds! My sister though, who grew up elsewhere with her mom, was my first glimpse at a different way of eating. I also have a joke (but true story) I tell about how the first time I visited her in my teens I opened her cupboards to look for food and could only find what I called “rabbit food” Just seeds, and things in jars with gasp no labels?! And the fridge? A sea of mason jars with interestingly coloured things inside. I walked over to the corner store purchased a loaf of white Wonderbread, a tub of margarine, Coca-Cola, and white cheese. Heading back up to her place with food, I put things away. But not after I made myself a nice grilled cheese sandwich with an ice cold coca cola to go with it. Food. I’m sure my sister was horrified, but she hid it well. While helping her with dinner I saw how she pulled out jars, seeds, some eggs, vegetables, and beans. No meat for this meal. How could something be a meal without meat? Instead, there were mushrooms and chickpeas and things I had always said I didn’t like, even when I hadn’t even given it a try. Typical teenager. Through the years I continued to eat my way, with the additions that flourished when my mom made something delicious and then when I was done eating told me there had been carrots in it. Whatttt. Or when my yearly visits to Montreal to visit my sister would always end up in me trying something new that I actually liked. I didn’t try a pineapple or avocado until I was 20! Somehow, somewhere, I started to think about food, and how there were all these things I never tried and assumed wouldn’t taste good. They were delicious, and interestingly, nutritious! If I look back, I think what I ate was never a concern because I wasn’t a large girl. I wasn’t overweight and didn’t look unhealthy. It’s a common mentality, and a wrong one, but regardless it is likely why food choices were not a common topic in my life. In March of 2015, almost two years into our marriage, scrolling Netflix at home while waiting for my husband to come home from work I stumbled upon a documentary that changed my life. Forks Over Knives. I watched it in awe. I was horrified, alarmed, worried, interested, curious, and by the end, I was on my laptop researching many of the topics I had only just heard about for the first time in my life. That very same day I decided to become Vegetarian. I just couldn’t unlearn what I had learned, I couldn’t unsee what I had seen. The numbers didn’t lie. Earlier in my life, I had seen those PETA videos, with the mistreatment of animals, and although I was horrified then, it didn’t make me stop eating meat. This though, data, information, and a new way of thinking for me made something happen, something click. My mom came around quickly and to this day anytime we have an event or a gathering she’s always mindful to make something vegetarian, and to me, this is such an expression of love, love her for it. Naturally, Christian being the superstar he is supported me from day one and even made a plan to only eat meat if we were out with friends or out on an event but he would refrain from cooking it at home. Through these last two years, he and I have learned more about food than in all the years of our lives prior. I have become obsessed with learning and trying. We have set foot in health food stores and regularly shop locally at farmer’s markets. I understand the value of food as a form of energy, health, and medicine. I have experienced incredible changes in energy, drive, motivation and positivity in my life. I had energy to begin exercising regularly, something I didn’t do often. I started helping other women in changing their life through the use of food and movement. I became passionate about helping others lead healthy lives, no matter if they ate meat or not. Fish has been reintroduced into my diet in the last few months, and it’s actually interesting how natural this addition came back into my life. Through my research into things that I cared about, fish never made any appearances, thinking back, there were things in the first documentary I watched that I wasn’t following. They spoke of the evils of anything that came from cow’s milk, yet although I don’t drink cow’s milk, I do consume cheese, butter and sometimes yogurt. They didn’t mention fish as a cause of many of the diseases and issues the documentary brought up yet I wasn’t eating it because it didn’t fall under the Vegetarian umbrella. This was my lightbulb moment. In an age where we feel like we have to define ourselves to the world, labels help keep us in line and in check, because how hard would it be to explain that you’re not a vegan, but you don’t consume cow’s milk directly, and you are vegetarian, but you eat fish here and there, and you had that marshmallow during the campfire and yes it has gelatin, but… Do you see what’s happening? So eat what you want to eat, but learn a thing or two about your food, whether you choose to care or not is up to you, but there’s nothing wrong with learning. I’ve been recently letting go of things that were bringing my life invisible stress and this issue had been one of them. I write on this blog for many reasons, but writing is one of my ways of getting my feelings out, and this is something I felt had to come out. I’m happy doing me and to the person who judges or pokes fun at anyone for foods they put into their body, I simply feel sorry for you and wish for you to take a step back and rethink how to better add value to the world and to others, there are kinder ways of educating. Likewise, to those who choose to follow a strict diet and have your reasons as to why, know that not everyone is ready to change when you are, that everyone’s make up is different and although this has worked miracles for you, it may not be right for them and sometimes, just being an example to others of a healthy and happy life, how my sister was to me, does more to intrigue or help someone than flat out shaming or trying to convert everyone you meet to your way ever could. You do you girl, label or no label. I agree, we all need to do what’s best for us – not for someone else! Totally agree with all of this! Everybody should totally just do them. Great message and post Mariangelica! We all have to do what is best for ourselves, even if it’s not for someone else. OMG PREACH. I read this whole post, but this bit stuck out for me: “The feeling to have to justify to your family, to the world, to yourself what you are is tiring and completely unnecessary. I have recently grown to understand that I am none of these labels. I choose to eat what brings me joy, and I choose to avoid some foods always or as often as I want to (looking at you gluten! ).” F**K YEAH (pardon my language) – I have been vegetarian for the last 3+ years and stopped eating dairy about 6 weeks ago. The questions people ask about why, for how long, what do I replace cheese with, etc. are SO DARN EXHAUSTING. I’ve basically started telling people I’m vegan but eat eggs, because that’s legit easier than saying vegetarian without dairy. But really, why should anyone care? The only people who should care are me, my boyfriend, and whoever is making the food I eat because yes, I really DO want a pizza without cheese. Ugh. You nailed it with this post, so thank you 😀 😀 I’m right there with ya!! Girllllllll. <3 Thank you so much for these words! I love that this post meant something to you because it sure does mean something to me! 100% agree! It's funny we have to think about how to describe our eating habits to people, when really as you said, it's just important for whoever is making your food that day! All judgy eyes can go elsewhere, let this woman have her cheese-free pizza! haha. so much love your way!! This is such a great post. I think it’s important to respect our own bodies and what works for us, and realize that we don’t have to justify to anyone else about those choices. I also love your point about learning and trying – because there’s so much fun in trying new foods and ways to cook things on a healthy eating journey! Forks Over Knives is a really powerful movie. I agree that you need to listen to your mind and body and do what’s best for you and the earth! love that you watched it also! totally agreed.